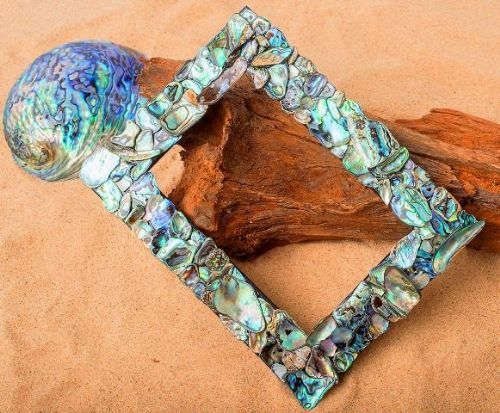 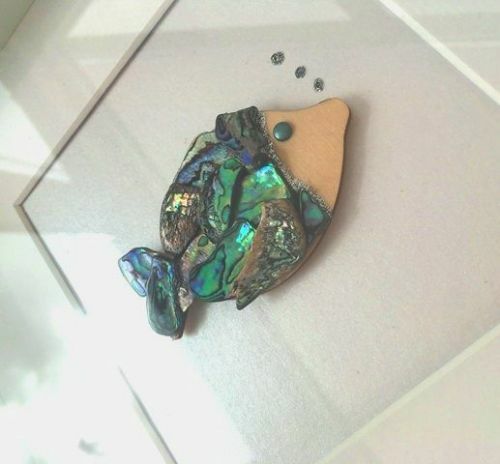 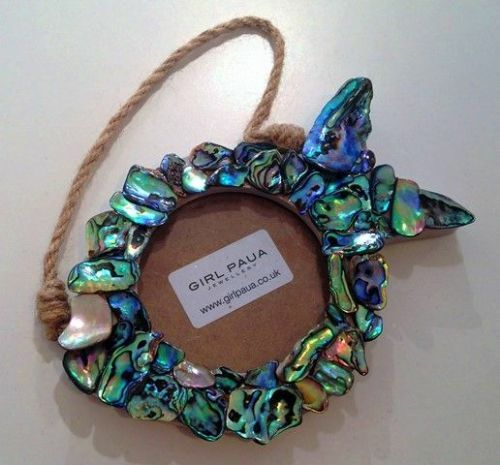 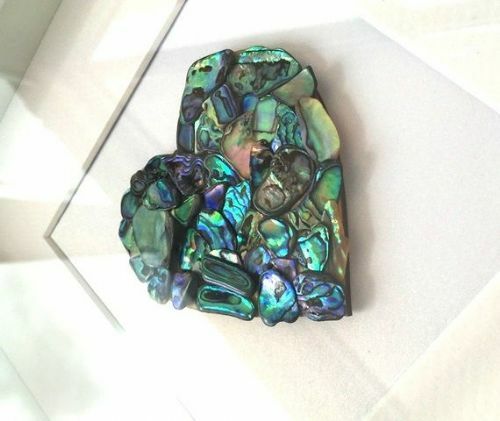 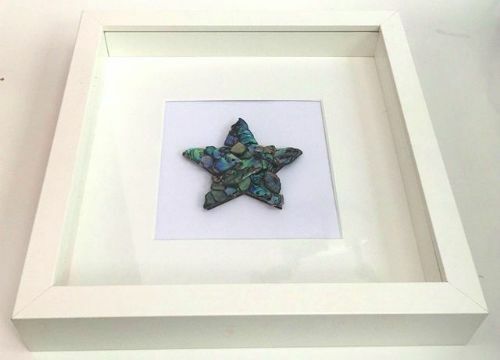 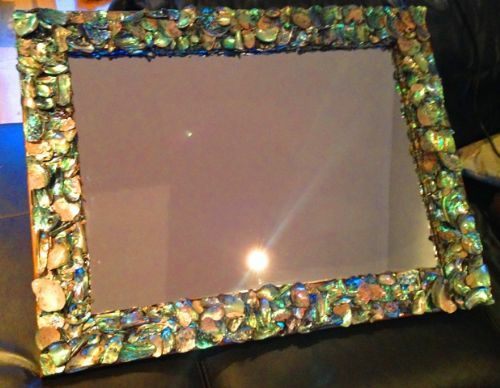 Beautiful Paua Shell Frames are unique gifts for any occasion. 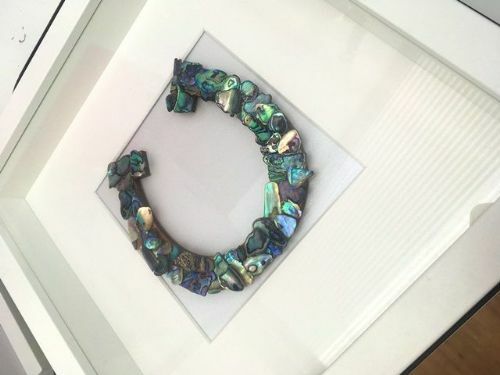 We use different sized pieces of shell which are smooth around the edges to create these gorgeous frames which reflect light and will brighten up any room. 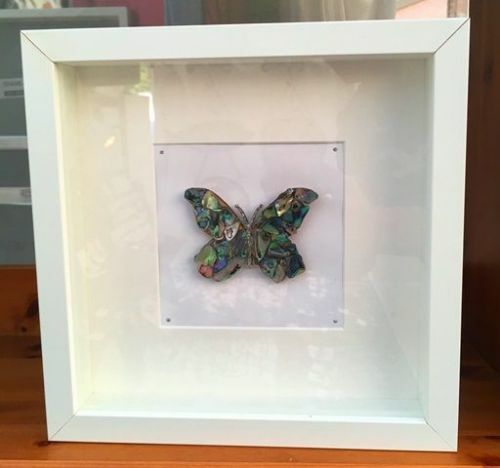 CUSTOMISATIONS AVAILABLE - get in touch for more information. 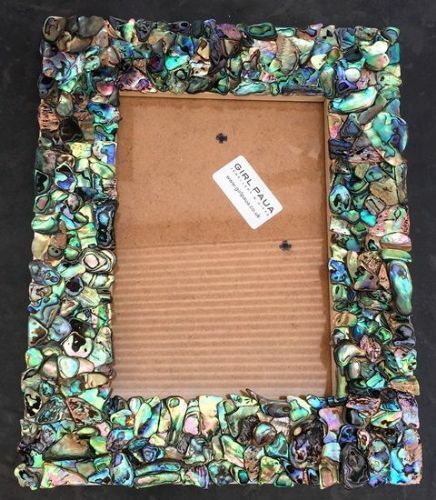 Rectangle Paua Mosaic Frame 6"x4"
Rectangle Paua Mosaic Frame 7" x 5"